Air Jordan XI "Legend Blue"
Earlier this month, we provided you with an on-foot look at the upcoming "Legend Blue" Air Jordan XIs. The crisp all-white colorway looks to be the next retro XI set for a holiday drop. While the naming convention of "Legend Blue" or "Columbia" may throw off some Jordan Brand purists, there&apos;s no debate that &apos;heads have been waiting for this colorway for years now. 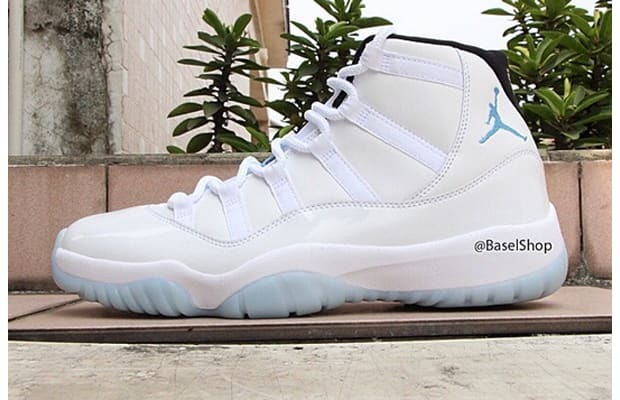 While you wait patiently for December, here are the latest round of photos that that give us the best look at the "Legend Blue" XIs.